Denver's way too cosmopolitan to be called a "cow town" anymore, though after looking at these five incredible burgers from around Mile High, it's clear that the name should be brought back for a different reason altogether. 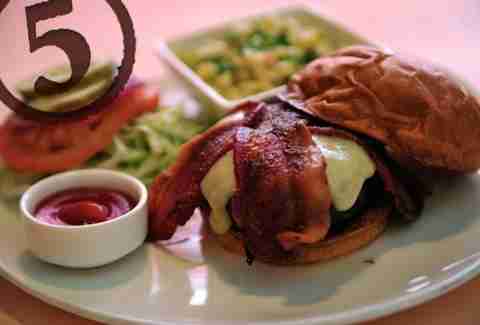 The city's best includes green chili cheeseburgers, cheddar/bacon burgers, and a whole lot more. A perfect burger to order if you have an expense account or a stolen credit card, the 80/20 Gold Canyon chuck is topped with white cheddar and bacon, and comes on a brioche bun from Grateful Bread. 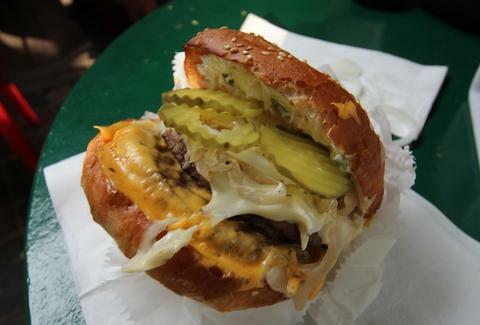 The Johnny Burger boasts three cheeses (American, Swiss, cheddar-Monterey Jack) and is topped with a generous amount of grilled onions and jalapeños. But its real charm is in the fact that it's served wrapped in paper, and accompanied by a giant caddy full of condiments. Kerouac and Neal Cassady used to hang out at this spot a long time ago, so the old-world charm doesn't hurt either. The 6.5oz burger patties are ground in-house daily and come on a toasted brioche bun. They serve as a great base for blue cheese crumbles, bacon, and grilled onions. Unlike Tobias, don't be afraid of blue-ing yourself. Ed. Note: the author of this article is employed by LoHi SteakBar, though their burgers would have been included on the list regardless, as they're quite legit. WE SWEAR! Steve's is known for their crazy hot dogs, but don't sleep on their damn good burger. The Smashburger comes with Dijon mayo, lettuce, grilled red onions, American cheese, tomatoes, and dill pickle chips, which provide a nice, satisfying crunch. Make sure to get fries. 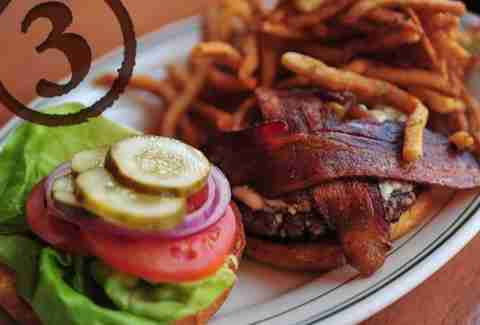 Steuben's legendary 10p special offers a burger, beer, and fries for only $7. 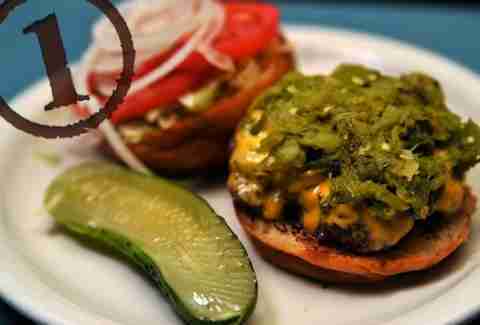 But with or without the adult happy meal, the Green Chili Cheeseburger is a crazy good option. 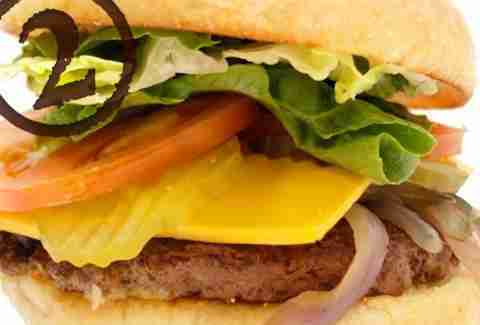 It comes on a challah bun, and has fixin's like lettuce, tomato, onion, mayo, and mustard. 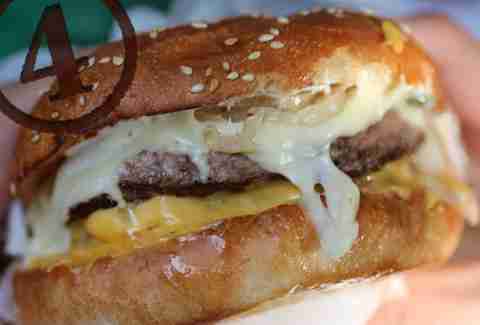 The real hero of the burger is the roasted green chili strips that pair beautifully with the American cheese. There's no better burger in Denver.